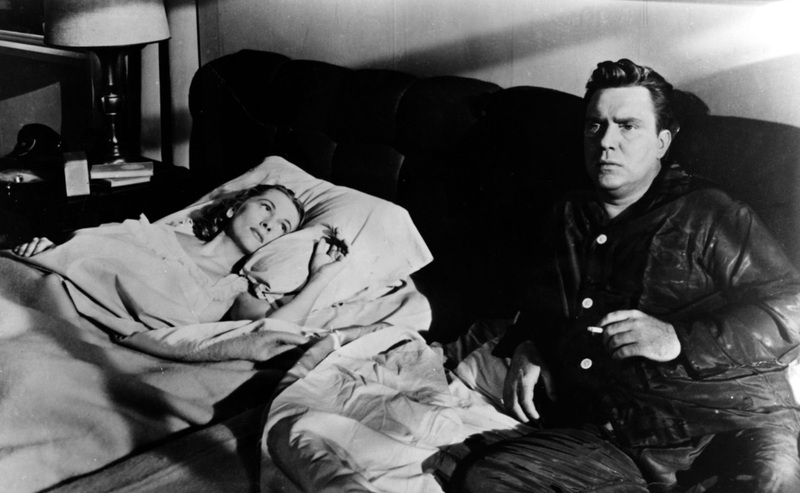 Harry (Edmond O’Brien) and wife Eve (Joan Fontaine), unable to have their own children, seek to adopt, and so must be assessed for suitability by Mr. Jordan (Edmund Gwenn). 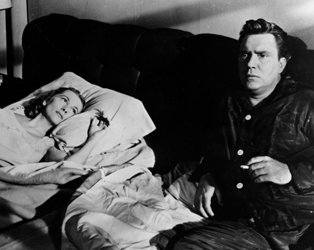 Jordan’s investigation into Harry’s frequent out-of-town business trips leads to the discovery of a second marriage, to Phyllis (Lupino, cited here as the first woman star to direct herself), with whom he has a daughter. The film is notable for its bravery in exploring what was for the time a controversial subject, especially given its relatively sympathetic attitude to Harry, portraying him as a man motivated by loneliness and weakness rather than a callous philanderer. Thanks to UCLA. 35mm preservation print courtesy of the UCLA Film & Television Archive. Preservation funding provided by The Film Foundation and the Hollywood Foreign Press Association.